Agni Tek Engineering offers the leading manufacturer, supplier, distributor, exporter and dealer of Forging Furnace. • These furnaces are for forging for high temperature application up to 1400 deg C. Could be also used for other heat-treatment activities. 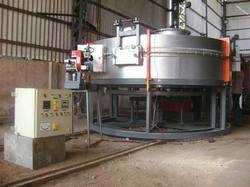 • These furnaces are oil-fired or gas-fired. • Adequate controls are provided for accurate temperature measurement and uniformity. 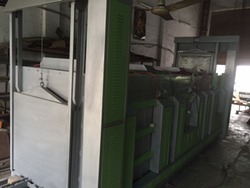 EN EFF Contiunuous forging furnace is designed to forge cut pieces of round billets in most efficient way resulted in increase in production, huge reduction in oil consumption per ton of steel heated along with minimum scaling and burning losses. The temperature at outer shell will not exceed ambient 40 deg. C.
We are offering Forging Furnace.